Additionally, cars would have to have built-in breathalyzers, distraction recognition systems that warn drivers if they seem like they’re getting drowsy or not focused on driving, and data recorders that document what happens during an accident. 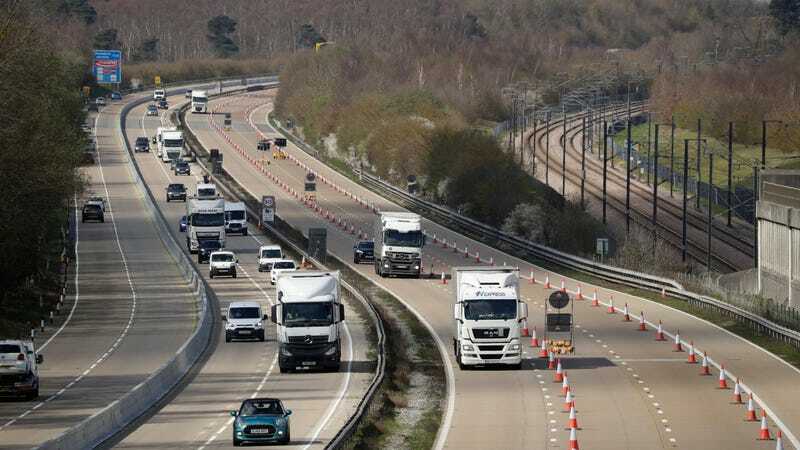 BBC and The Guardian report the new rules, known as General Safety Regulation, were provisionally agreed upon by the EU, and that the Department for Transport said the UK would be subject to the rules regardless of Brexit. The new rules still need European parliament ratification, which will likely happen by September. As Fortune points out, some luxury vehicles from Honda, Ford, and other manufacturers already have intelligence speed assistance (ISA) technology. The technology detects the speed limit in an area through sign-recognition cameras and GPS. If the system finds the car is traveling above that limit it alerts the driver and slows the vehicle down. When ISA kicks in, drivers can override the brakes by accelerating. “If last night’s agreement is given the formal green light, it will represent another of those moments, preventing 25,000 deaths within 15 years of coming into force,” Avenoso said, referencing the provisional EU deal. According to BBC, Automobile Association president Edmund King said he has no doubt the new regulation would save lives but warned of unexpected consequences to enforced ISA. “The right speed is often below the speed limit - for example, outside a school with children about - but with ISA, there may be a temptation to go at the top speed allowed,” King told the BBC. It’s not surprising that an automobile enthusiast would be skeptical of this development but he’s not wrong that this technology is still new and it could have some growing pains. “The best speed limiter is the driver’s right foot,” King said. What State Has the Most Pedestrian Traffic Deaths?